Our tallest corn. We planted all of our corn April 19-23rd. Growing conditions have been ideal, with rain every few days and a hot, very humid June. I don’t know if we have ever had taller corn on the 4th. This entry was posted on Sunday, July 4th, 2010 at 4:18 pm and is filed under Curious crops. You can follow any responses to this entry through the RSS 2.0 feed. You can leave a response, or trackback from your own site. 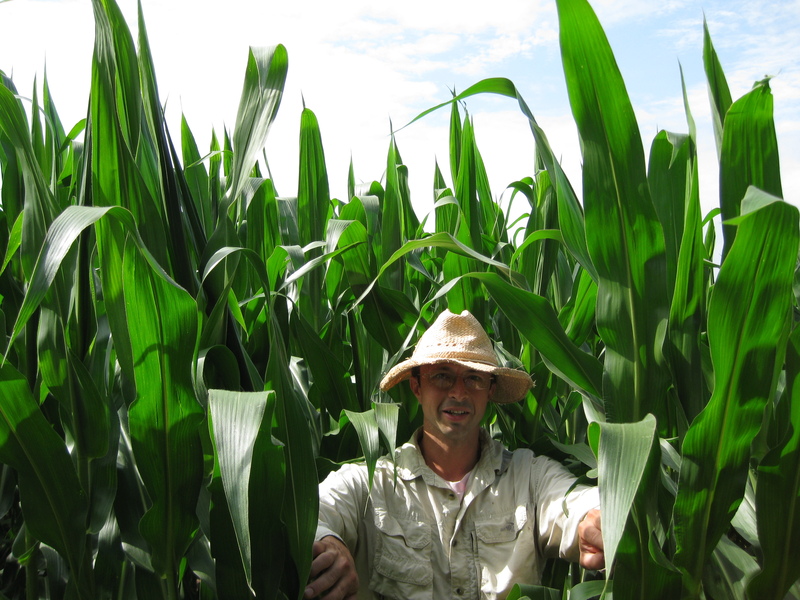 Given that one of your previous posts was titled “Knee-high by the Fourth of July”, if you meet someone in your cornfield whose knees are at the corn level … I suggest you let him take all the corn he wants.